FxPro, domiciled in Cyprus, is a Forex broker that caters to both experienced and beginner traders. Founded in 2006, FxPro has established itself as one of the leading Forex brokers in the industry. It offers a wide range of options and features and their landing page is chock full of useful information. Navigation throughout the site moves along at a rapid clip and opening either a real or demo account is quick and easy. Deposits can be made via bank transfer, credit/debit Card, PayPal, Neteller, Skrill, Webmoney, FasaPay and MonetaRU (for Russian-speaking countries), CashU, Netbanx and mPay (for Chinese clients). 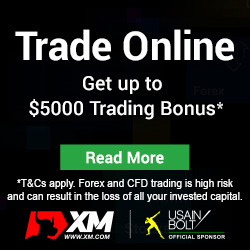 To withdraw funds, a trader must log into FxPro Direct and make a withdrawal request. With customer support bases in 23 countries, traders using FxPro can rest assured that assistance is only a toll-free phone call away. Traders in other countries or those who prefer alternative methods of service can request a callback at a time that they select. Like most brokers, FxPro offers support 24/5, from Sunday night at 11pm in most time zones through Friday night at midnight. In addition, FxPro’s Contact Us page is among the best we’ve seen, with different boxes that contain the phone number and email of each department, so that you can rest assured that your inquiry will arrive at the right place. The platform and customer support is available in close to twenty different languages. All in all, FxPro has something for everyone and makes it easy to trade Forex. We found that FxPro’s features weren’t especially unique, but they were presented in a useful, professional way that can serve all types of traders more than adequately. 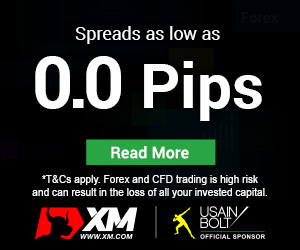 I can say that FXPRO is reliable broker with good services and small spreads. This broker allows me to trade with my own trading system and I can use my EA’s without any restrictions. Last withdrawal was $1400 and everything went smooth and fast. Can recommend them for advanced traders. I like FxPro platform. It is simple, quite informative and with good infographics. I even earn a little bit for this short period of time. I requested for 200€ just to check the withdrawal service. Within 1 working day the amount was on my account. Everything so far so good and I am satisfied with my choice.